Meet Sam Dodsworth, an amiable fifty-year-old millionaire and "American Captain of Industry, believing in the Republican Party, high tariffs, and, so long as they did not annoy him personally, in Prohibition and the Episcopal Church." Dodsworth runs an auto manufacturing firm, but his beautiful wife Fran, obsessed with the notion that she is growing old, persuades him to sell his interest in the company and take her to Europe. He agrees for the sake of their marriage, but before long, the pretensions of the cosmopolitan scene prove more enticing to Fran than her husband. 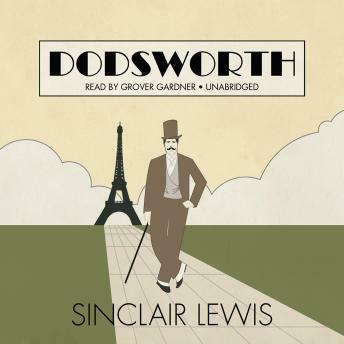 Both a devastating, surprisingly contemporary portrait of a marriage falling apart and a grand tour of the Europe of a bygone era, Dodsworth is stamped with Sinclair Lewis' signature satire, wickedly observant of America's foibles, and great fun.